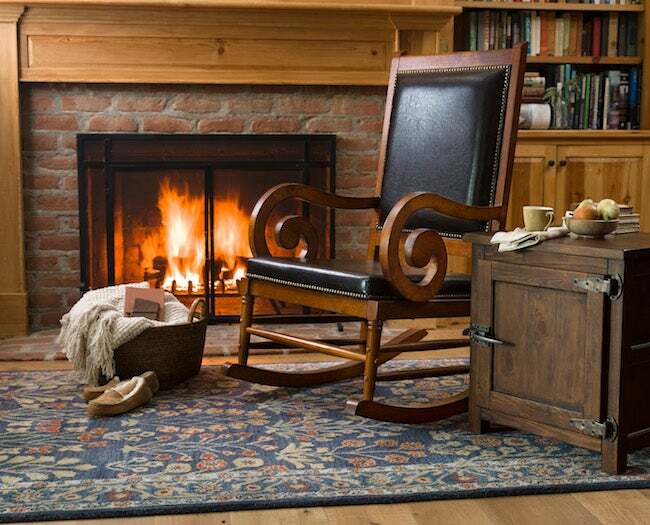 Enter Bob Vila’s $3,000 Fall Furnishings Giveaway with Plow & Hearth! Enter today and every day this month for your chance to win a $1,000 gift card to Plow & Hearth! As late summer gives way to autumn, homeowners can enjoy the best of both seasons by spending warm evenings on the patio in front of the fire pit or curled up indoors in a cozy chair with a good book. However you choose to spend your time during this transitional month, the right home furnishings can make your experience all the more enjoyable. That said, shopping for the home won’t be possible for everyone, especially since summer travel tends to leave wallets feeling a little lighter. That’s why we’ve partnered with Plow & Hearth to give away three $1000 gift cards in the month of September! Today and every day this month (starting at 12:00 p.m. EST on August 31, 2018 through 11:59 a.m. EST September 30, 2018), enter Bob Vila’s $3,000 Fall Furnishings Giveaway with Plow & Hearth. You could win one of three $1,000 gift cards, which you can use to beautify the interior or exterior of your home! Founded in 1980, Plow & Hearth has 26 retail stores, a trusted catalogue, and a multi-channel online business. They manufacture accessories for the home, hearth, yard and garden. With an emphasis on quality and customer service, they remain a trusted source for improving your indoor and outdoor living space. Plow & Hearth has many new products this fall, from fire pits and cozy rugs to door decor and kitchenwares. You can also find the stylish Cambridge Rocker, which may soon become the best seat in the house, and the farmhouse chic Deep Creek Dining Collection, which could be the ideal spot to serve up a fall feast! Enter Bob Vila’s $3,000 Fall Furnishings Giveaway with Plow & Hearth Giveaway daily to increase your chances of winning. Three lucky winners will receive a $1,000 gift card to Plow & Hearth, which they can put toward decorating their interior or exterior living spaces. To learn more about Plow & Hearth, click here. “Bob Vila’s $3,000 Fall Furnishings Giveaway with Plow & Hearth” is open only to permanent legal U.S. residents of the 48 contiguous states and the District of Columbia who are age 18 or older. Void in all other geographic locations. No purchase necessary. Void where prohibited. Contest Period for Prize runs from 12:00 p.m. (EST) Friday, August 31, 2018, through 11:59 a.m. (EST) Sunday, September 30, 2018. One entry per household per day on BobVila.com. Alternative means of entry for Drawing is available by faxing your name and address to 508-437-8486 during the applicable Entry Period. Odds of winning depend on the number of eligible entries received. See Official Rules.